If money managers placed just 2% of their clients’ money into gold, the metal would experience an extraordinary event. Would supply be able to keep up with demand? This week, Your News to Know brings you the latest happenings in the world of finance and the gold market. Stories include: What would happen if everyone put 2% of their money into gold?, lovers of the yellow metal bet party isn’t over after big first quarter gain, and gold is the pile of poker chips in the next global crisis. 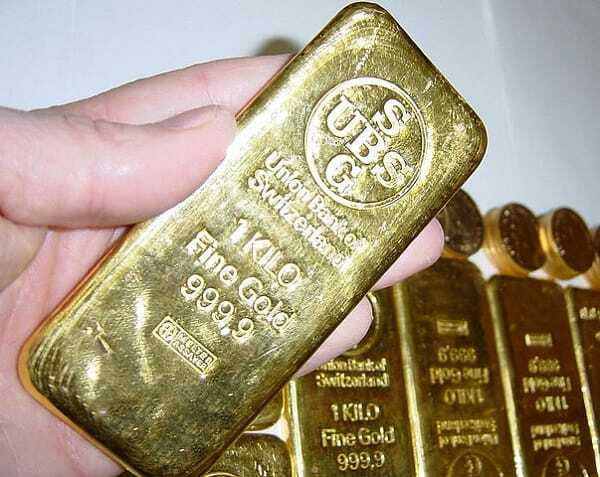 What would happen if institutional investors put 2% of their money into gold? Few groups of people manage as much money as institutional investors do. At all times, their primary task is to protect and grow their clients’ assets — no matter the state of the global economy. To this end, institutional managers have no particular allegiance to any asset class or portfolio theory: All they care about are results. In an article on Business Insider, analyst Jeff Clark considers what would happen if big money managers translated their growing interest in the yellow metal to action. What if 2% of everyone’s money went into gold? Without a doubt, the move would create a sizable supply glut. Two percent of assets under management by the world’s 500 largest asset managers would amount to over $1.5 trillion – more than 12 times the global gold production in 2015 and over 9 times the total global demand. Even an allocation of 1,000% less would still soak up every last ounce mined worldwide last year. According to big-league fund manager Dan Tapiero, major asset allocations to gold are far from speculative fiction; vulnerable stocks, lofty real estate, sub-par growth, persistent deflation and an increasingly-powerless body of central banks are all causing money managers to look at gold favorably. Clark finds a massive shift in allocation to gold to be a question of ‘when’ rather than ‘if’. How long until asset managers turn to gold for security? When it does happen, Clark warns that even a small allocation will upset the industry and therefore have major implications for the price of gold. As seen on Newsmax, money managers are still betting on further gains from the best-performing commodity of the first quarter. With the metal posting the biggest quarterly gain in three decades in the midst of turbulent financial markets and global economic growth concerns, it’s no surprise that hedge funds are the most bullish they have been since January 2015. Janet Yellen’s recent speech urging U.S. central bankers to “proceed cautiously”, with plans to raise interest rates due to risks from the global economy, acted as yet another tailwind for gold. The chances of policy makers going forward with another hike by July have dropped to 36% from 79% at the beginning of the year – with lower rates, gold becomes more competitive against interest-bearing assets. In his latest book titled ‘The New Case for Gold’, author James Rickards argues that a global financial collapse is imminent. In a recent piece on MarketWatch, Rickards explains that the 2008 crisis was centered around banks that were “too big to fail”, and since then, the same banks have only grown bigger and more influential, meaning that the next crisis could potentially be at least as severe as the Great Depression, if not even more so. After the global monetary system collapses, Rickards predicts that nations around the world will sit around a makeshift poker table and that the amount of gold they own will represent their poker chips. He believes that most major economic powers are aware of this and have therefore been stockpiling gold, leading to something he calls the “shadow gold standard”. The best way to evaluate this standard in individual countries is to use a Gold-to-GDP ratio; the better a country’s ratio of gold against gross domestic product, the bigger say its leaders will have at the aforementioned table post-collapse. Rickards says that the biggest winners are the 19 eurozone countries, since their gold as a percentage of GDP is over 4%. The U.S. and Russia both have a ratio of around 2.7%, although the latter seems dead-set on surpassing the former through massive bullion acquisitions. Despite the size of their economies, Japan and the U.K. only have a ratio of 0.7%, which won’t give them a lot of room to bargain in the wake of a potential collapse. The same goes for countries like Australia and Canada. Rickards considers China to be the most interesting case. While the Asian nation’s official reserves amount to ‘only’ 1,658 tons as of July 2015, multiple reliable sources place their bullion holdings closer to 4,000, and it’s entirely possible that the actual number far exceeds even that. This would mean that China’s acquisition of 3,000 tons of gold bullion in the last 7 years represents 10% of all the official gold in the world – therefore, China’s well-known lack of transparency is no mystery as the country wishes to avoid increasing gold’s price by impacting a thinly-traded market. Aside from wanting to protect themselves against a likely $2 trillion default by the U.S., China’s gold purchases are also meant to ensure them a privileged place in the event of an international monetary collapse. The new monetary system would be based on a U.S.-German-Russian-Chinese monetary condominium, Rickards says, and the “gold powers” are already preparing for this outcome. Is a massive recession waiting to happen? Donald Trump is saying yes. See why here.